US Funds to Pay Palestinians to Vacate the West Bank? According to a recent interview between Paul Liberman, the executive director of the Alliance for Israel Advocacy (AIA), and journalist Lee Fang at the Intercept, Liberman’s organization claims to have met with key figures in the Trump administration – including Jason Greenblatt, President Donald Trump’s chief adviser on Israel-related issues; Victoria Coates, an official with the National Security Council; Tom Rose, a top adviser to Pence – as well as several members of Congress, to promote controversial legislation that would use U.S. funds to pay Palestinians in the West Bank to move abroad. Most recently, Liberman pitched the plan at the Council for National Policy, which was attended by donors and activists of the religious right and by Nikki Haley, current U.S. ambassador to the U.N., who is set to leave her post by year’s end. Despite the fact that AIA is not a well-known organization, some have credited its ability to secure meetings with top government officials to its employment of Fidelis Government Relations, a lobbying firm that currently employs one of Pence’s closest aides and his former chief of staff, Bill Smith. According to public records cited by the Intercept, AIA hired the firm in order to build relationships with the White House and the vice president’s office. If AIA’s efforts go as planned, legislation will be introduced when the next Congress convenes that would aim to redirect U.S. funding formerly dedicated to the U.N. Relief and Works Agency fund (UNRWA) in Palestine to a fund managed by the Israeli government that would offer West Bank families “vouchers” that would give them cash to resettle abroad. As the Intercept noted, the plan “is a bid to reshape the ethnic and religious population of territories controlled by Israel.” Liberman told the Intercept that Rep. Bill Johnson (R-OH) would likely sponsor and introduce the legislation next year. In 2017, the U.S. provided $364 million to UNRWA. President Trump abruptly cut off payments to the agency earlier this year in August. US Taxpayers footing the bill for ethnic cleansing in Palestine? Unsurprisingly, according to Liberman, AIA’s plan to essentially bribe Palestinians to leave their homeland has been met with an enthusiastic response by Israeli politicians. Liberman claims to have met with Tzachi Hanegbi, a senior figure in the Likud Party, as well as top figures in the Israel Home Party, including current Israeli Education Minister Naftali Bennett and Moti Yogev. Liberman told the Intercept that Yogev – who recently called on all Palestinian-Israeli lawmakers to leave Israel – gave him his explicit support for the West Bank “voucher” plan. Shushan also noted that, under the Trump administration, measures once considered outrageous are quickly becoming policy in regards to Israel and Palestine. Indeed, since coming into office, Trump has taken a markedly pro-Israel stance that has resulted in his being called the “most pro-Israel president in U.S. history.” This is not only the result of the fact that Trump has long shared close, personal ties to Zionists — such as his son-in-law Jared Kushner and his long-time personal attorney and now current U.S. Ambassador to Israel David Friedman — but also due to the policy demands of his top donor, Zionist billionaire Sheldon Adelson. Adelson, now the top donor to both Trump and the Republican Party, helped orchestrate many of Trump’s pro-Israel policies, including the U.S. Embassy move from Tel Aviv to Jerusalem, Trump’s unilateral withdrawal from the Iran deal, Trump’s decision to stop funding UNRWA, and the hiring of pro-Israel stalwart John Bolton to be the new national security adviser earlier this year. If the AIA’s legislation is introduced next year and Adelson throws his support behind the plan, his strong connections to Trump and the Republican Party could result in the piece becoming law, especially given the fact that many Democratic lawmakers are just as pro-Israel as their Republican counterparts. Posted in Palestine Affairs, USA, ZIO-NAZIComments Off on US Funds to Pay Palestinians to Vacate the West Bank? Last week’s peace talks in Sweden between the Saudi-led coalition and Yemen’s Houthis was cause for celebration for many the world-over who hoped to finally see an end to Yemen’s bloody war. But many of Yemen’s people hedging their bets and have expressed frustration over the results of the week-long talks in Rimbo, talks that leaders on both sides of the conflict viewed as a victory. Mohammed Fayed — a 45-year-old displaced father originally from the Saada province, who now resides in Sana’a — told MintPress that the agreement reached in Sweden could not end three years of war on Yemen, especially in Hodeida. The failure to reopen the Sana’a International Airport has been a sticking point in negotiations and, according to many Yemenis, will result in the deaths of thousands of innocent civilians — including children — in Yemen’s northern districts, as the airport is one of the primary conduits used by Yemenis to travel abroad for critical medical care unavailable in Yemen. The Saudi coalition has imposed a years-long blockade on the Sana’a Airport. Before the war began, thousands of Yemenis traveled abroad — mostly through the Sana’a Airport — for medical treatment each year; 60 percent of the patients were women and children. Saudi Arabia’s ongoing blockade of Yemen includes medical supplies and means that the number of patients requiring life-saving overseas treatment will grow. On Saturday an 11-year-old boy, Mohammed Nasser, died a result of kidney failure. He was unable to travel out of Yemen through the southern districts that are under Saudi-led coalition control. Like Mohammed, about 200,000 patients in the south districts — including cancer, heart, and renal-failure patients — need to travel outside of Yemen to seek life-saving treatment. Saudi coalition representatives have insisted on relocating Yemen’s international airport to coalition-controlled Aden, relegating the Sana’a International Airport to local use instead of reopening it as an international airport. For their part, the Houthis have offered to have Yemeni planes flying through the Sana’a Airport inspected in Jordan and Egypt, as they consider Saudi coalition-controlled city of Aden unsafe for opponents of the coalition. The Houthis say that reopening Sana’a International Airport is an important humanitarian objective, necessary to transport sick and wounded residents as well as food supplies. Many civilians have been unable to return to Yemen through the coalition-controlled southern districts after leaving the country to seek medical treatment abroad. Some patients have been prevented from returning home and others have reportedly been arrested, tortured or even killed under the pretext that they supported the Houthis or oppose the presence of the coalition in Yemen. With agreement not reached during the peace talks in Sweden, the issue of the reopening of Sana’a International Airport was postponed until January 2019 when another round of talks is planned. This caused great frustration for many Yemenis, who hoped the talks would result in the lifting of the coalition’s blockade on the Sana’a Airport. Peace talks in Sweden also failed to produce agreement on the paying of government staff salaries and the neutralization of the Central Bank. The Saudi coalition took over the central bank in the early days of the war and has blocked the paying of salaries for Yemen’s civil servants, exacerbating the humanitarian crisis in Yemen, already the worst in the world. Mohammed Jahaf — a 28-year-old civil servant employed by the Yemen Economic Corporation in Sana’a who, like two million other Yemenis, faces destitution, as his salary has gone unpaid for more than two years — saw the peace talks in Sweden as a waste of time. Despite their unpopularity among residents in Yemen, the Rimbo talks are regarded by most Yemeni analysts as having progressed better than anticipated. These observers see Rimbo as an encouraging breakthrough after four years of deadly impasse and hope the talks will pave the way to progress on Yemen’s major humanitarian issues. Numerous prior negotiations between Yemen’s Ansar Allah and the Saudi coalition have failed, including peace talks in Switzerland earlier this year that failed spectacularly after the Saudi-led coalition refused to allow the evacuation of wounded Houthi personnel for treatment abroad. Previous talks also broke down in 2016, when 108 days of negotiations in Kuwait failed to yield a deal. The Houthis see the Rimbo agreement as a victory for the Yemeni nation, as the Saudi-led coalition was obliged to sit for talks with Ansar Allah, the political wing of the Houthis. Houthi chief negotiator Mohammed Abdulsalam says the truce is a defeat for Saudi Arabia as it forces them to stop their aggression, allows existing local protectors who thwarted the Saudi offensive to be in charge of Hodeida, and allows the Yemeni nation to regain access to food, medicine, and other basic supplies. The agreement essentially places the strategic port city of Hodeida under the military control of the UN; and, while Houthi military forces will withdraw from Hodeida city and the port, they will retain political control of the city. The Saudi-led coalition and its local mercenaries, on the other hand, must withdraw from all sites in southern Hodeida that have been occupied during the coalition military campaign that began in June. The Houthis also see the talks as an end to international isolation, as they have for the first time been given international recognition and a seat at the table with other nations. They have also shown that they have been steadfast in the face of the military invasion from one of the most well-funded and well-equipped military alliances on earth and are still willing to extend their hands towards peace with the enemy. Other Yemenis see the outcome of peace talks in Sweden as simply being confidence-building measures, the first steps to ending the dire humanitarian situation. They see the talks as actually having netted very little, as profound differences still remain. The unresolved issues of humanitarian corridors, a prisoner swap, and the reopening of the defunct Sana’a International Airport still remain and, functionally, the only breakthrough achieved in the talks was over the fate of Hodeida. Even the agreement over the control of Hodeida has been subject to much disagreement. While both sides have agreed to a UN role in the port, they differ on who should run the city. The Houthis want Hodeida declared a militarily neutral zone, saying they retain political charge of the city, but Saudi-backed forces argue political control of the city is a matter of “sovereignty” and that they should be handed political control. Deep-rooted political divisions also remain around the presidency, a united government, early elections, the outcome of the National Dialogue Conference (NDC), a weapons handover, the building of a single national army, and future relations with the countries currently fighting in Yemen. These multiple divisions combine to make peace elusive in the near term according to many observers. Others say the willingness of both sides to show flexibility in Sweden reflected their zeal for ending, or at least alleviating, the suffering of Yemeni people — saying that the cooperation will open a window to further constructive talks in January and better understanding between the warring parties to end the war. Mohammed Fayed, however, believes that peace in Yemen will be achieved only if international pressure on the Saudi alliance continues. The starvation, death, and epidemics that are rampant in Yemen cannot be resolved without addressing the Saudi role in causing them. At a time when Yemen’s former government of Abdrabbuh Mansur Hadi views Saudi Arabia and the United Arab Emirates as friends and allies, most Yemenis see them as an occupying enemy. For the time being, these considerations have been put on the back burner as the fragile ceasefire in Hodeida has already been shattered. Since peace talks ended last week, the Saudi-led coalition has already conducted 50 airstrikes and Saudi artillery has fired more than 300 mortar shells into Hodeida’s residential areas, killing five more civilians. Moscow is allowing fighters from Hezbollah and other pro-Iranian groups operating in Syria to carry Russian flags in order to protect them from Zionist airstrikes, Russia’s Kommersant newspaper reported Wednesday. The IDF delegation’s visit to Moscow on Tuesday was the first time that military officials from the Israel and Russia met since Israel Air Force Commander Amikam Norkin visited Moscow in September. Norkin went to Moscow to present the findings of an Israeli inquiry into how Syrian anti-aircraft shot down a Russian plane during an IAF air strike. Over the past two weeks, the Prime Minister’s Office in Jerusalem made frantic efforts to get their Russian counterparts to agree to host the Israeli delegation,led by the head of the IDF Operations Directorate, Major General Aharon Haliva. Following the meeting in Moscow, the Russians issued a brief statement emphasizing that nothing concrete had been agreed upon, except that the two sides would continue to hold discussions on security coordination in Syria. Although Russian President Vladimir Putin yielded to Prime Minister Benjamin Netanyahu’s pressure to receive the Israeli delegation, the Russians did not intend to actually resolve the crisis over the plane, as evidenced by the fact that Haliva didn’t get to meet his Russian counterpart. Instead, Haliva was matched with his counterpart’s deputy, Major General Vasily Trushin, who is about to finish his term and is not actually involved in the Syrian crisis. “Our position remains unchanged. The chaotic damage done to Syrian infrastructure by the IAF, on the pretext of an Iranian threat, is unacceptable to us,” said a senior source in the Russian Defense Ministry ahead of Tuesday’s meeting. Two years of Donald Trump and Binyamin Netanyahu as a Middle East peacemaking team appear to be having a transformative effect – and in ways that will please neither of them. There is every reason to assume that, over time, these figures will swing even more sharply against Netanyahu’s Greater Israel plans and against Washington’s claims to be an honest broker. Israel’s logic – and proof that it is in gross violation of international law – were fully on display this week. The Israeli army locked down Ramallah, the effective and supposedly self-governing capital of occupied Palestine, as “punishment” after two Israeli soldiers were shot dead outside the city. Last month the Jewish city of Afula banned Palestinian citizens from entering its main public park while vowing it wanted to “preserve its Jewish character”. A court case last week showed that a major Israeli construction firm has systematically blocked Palestinian citizens from buying houses near Jews. And the parliament is expanding a law to prevent Palestinian citizens from living on almost all of Israel’s land. A bill to reverse this trend, committing Israel instead to “equal political rights among all its citizens”, was drummed out of the parliament last week by an overwhelming majority of legislators. 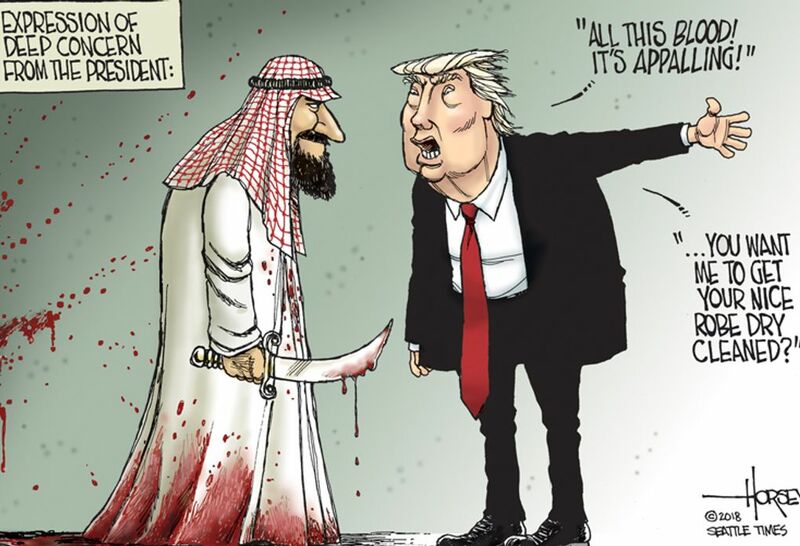 US support for the monster who run Saudi Arabia is a mystery…and it’s not just about the oil. Finally, the mystery and many other Middle Eastern mysteries explained. The “crazy” Middle East is only that way because the power players in the US and the UK want it that way. It makes it easier to steal the resources of the people who live there. Without US support, the criminals who run Saudi Arabia and other Gulf States would be out. But we support them and it’s all paid for by US tax payers. Venezuelan President Nicolas Maduro gave a press conference to international media Wednesday where he hailed the success of the Venezuelan municipal elections, while also accusing the United States of plotting to kill him. Specifically, he pointed the finger at John Bolton, President Trump’s national security advisor, who he said was coordinating efforts to topple his government. “Mr. John Bolton has been assigned, once again, as the chief of a plot to fill Venezuela with violence and to seek a foreign military intervention,” Maduro told journalists, adding that Bolton was coordinating the training of mercenaries in military bases in Colombia and the United States. He went on to accuse the United States of being behind the attempt on his life back in August, in which two explosive-laden drones exploded close to the presidential stage during a public speech, claiming that Washington continues to plot against him and his government. Maduro said there is a plan encouraged by John Bolton to train mercenary forces that will execute “false positive” attacks against military forces at the border, to confuse public opinion and justify an attack on Venezuela. “These declarations are crazy,” Maduro stated. “Do you think this country has nobody who will defend it? We will give a lesson of strength and dignity to all right-wing madmen” he exclaimed, before stressing that Venezuela’s relationship with Brazil is destined to be based on peace and cooperation. The CIA already has their man ready. They have been grooming him since he was 17 years old. He lives not far from the CIA headquarters in Langley, Virginia. He is Reza Pahlavi, the Crown Prince of Iran. During the early 20th century the British Empire had full control of Iran’s oil industry, and was paying Iran a flat fee for every barrel of oil it extracted. A rough calculation of Iran’s royalties is between 8% to 16% of the profits, but Iran was never allowed to look at the financial books. The British refused any negotiated settlement. It was then that the Iranian parliament led by Mossadegh voted to nationalize Iran’s oil industry. The British responded with a naval blockade, and began plotting to overthrow Mossadegh and the parliament. As the Prime Minister, Mossadegh held the most political power in Iran because the people were behind him. The Shah of Iran was mostly a figurehead, at the time. The US looked the other way from the Shah’s corruption of conspicuous consumption, stuffing dollars in foreign bank accounts and lining his own pockets, and those of his cronies. The US got a big piece of the Iran oil industry, and Iran gave the US a strategically important location for a military presence. As for the people of Iran, they continued to live in abject poverty and illiteracy. Iran has been under sever US-imposed economic sanctions for 40 years. The US has been threatening Iran with war and “all options are on the table” for decades. The US has also instigated instability inside Iran and supported external attacks by terrorist groups such as Mujahideen-e-Khalq, or MEK. The US is still fighting a cold war against socialism, the welfare state, and public ownership. A cold war against Iran is not about US national security. Iran is not an existential threat to the US, or to Israel either. It is about US corporations being thwarted from exploiting Iran’s natural resources, privatizing their state-owned enterprises, and “opening” Iran to unequal trade arrangements. It is also about the US being the hegemon in the Middle East. The US will never forgive the Islamic Republic of Iran for shutting down the US deal of exploitation. With the Shah’s cut from oil companies, he was a very big customer for US weapons manufacturers, such as General Dynamics, Lockheed, and Northrop. He also aggressively bought into President Dwight D. Eisenhower’s Atoms for Peace program. At the urging of the US, Iran began its nuclear program in 1957. Selling weapons and nuclear technology was good business for weapons manufacturers and the nuclear industry. US companies like General Electric and Westinghouse sold Iran the nuclear equipment and technology, as well as the enriched uranium fuel. They even sold the Shah highly enriched weapons grade uranium, which is the most efficient for producing electricity, and making atomic bombs, too. The US public and press became outraged when the US Embassy in Tehran was stormed by revolutionary students who took 52 Americans hostage. The students renamed the US Embassy the “Den of Spies”. The students had every reason for that name, given the cache of incriminating documents they discovered. Instead of an imperial looking shah, the Iranian Revolution ushered in an Islamic leader to head the government. The thought of Iran turning into a theocracy seemed antiquated to Americans. They had not known that Ayatollah Khomeini was a national hero since the early 1960’s. He had been arrested, tortured, imprisoned and then exiled to France for his outspoken opposition to the Shah. The unphotogenic image of a dour-looking Ayatollah Khomeini was an easy target for Western racist and Islamophobic propaganda. The US public had no idea why the Iranian people hated the US so much. The facts were kept secret from the public for years. The State Department documents were finally made public in 2017. For many decades the public did not know that it was the US, from President Eisenhower on down through the State Department and the CIA, which overthrew the popular democratically elected government of the charismatic Prime Minister Mohammad Mossadegh. But the Iranian people knew that It was the US that put the brutal regime of Mohammad Reza Pahlavi on the Peacock Throne. The US public was uninformed of the Shah’s repression, political prisoners, torture chambers, assassinations, disappearances and executions. Not only did the US government turn a blind eye to the brutality, it was the CIA (and Israel’s Mossad) that was the overseer and mentor to the Shah’s secret police; the “Organization of National Intelligence and Security of the Nation”, known as SAVAK. The explosion of the Iranian Revolution of 1979, the Hostage Crisis and the animosity of the Iranian people towards the US government was the direct result and blowback from 25 years of the US coddling and sheltering its shah puppet. As Kermit Roosevelt who was the CIA station chief in Tehran in 1953 said of the Shah: “He’s our boy”. It was Roosevelt who engineered and implemented the coup that brought the Shaw to power. The codename for the coup was Operation Ajax. Henry Kissinger and David Rockefeller had appealed to Carter’s compassion to admit the Shah to the US for health reasons. After much vacillation Carter agreed. Carter had had a friendly personal relationship with The Shah. In 1977 Carter visited Iran and toasted the Shah for his “island of stability” and for “the admiration and love which your people give you”. Carter admitted the Shah to the US on October 21, 1979. On November 4, 1979 revolutionary students took over the US Embassy in Tehran, and demanded the Shah in exchange for the US hostages. Carter said he refused to give in to “blackmail” to a group of “terrorists”. Still vacillating, Carter expelled the Shah from the US. He died in Egypt in 1980. As a reaction to the Iran Hostage Crisis, the US imposed unilateral sanctions on Iran, cut off the sale of oil and froze their assets in the US. The US put an embargo on Iran, including humanitarian supplies, and the US broke diplomatic relations. Needless to say, the US stopped its “Atoms for Peace” program and cooperation with Iran in developing nuclear energy. Not coincidentally, Iran released the US hostages within hours of Ronald Reagan being sworn in as President in 1981. The circumstances and timing of the hostage release is still controversial. Most likely, Carter deserves the credit for successfully negotiating the release of the hostages. Why the Iranians released the hostages when they did is still a mystery. According to the New York Times, “the Reagan Administration secretly decided shortly after taking office in January 1981 to allow Israel to ship several billion dollars’ worth of American arms and spare parts to Iran”. Cynically the US later said that it gave aid to both sides “to remain neutral”; and unsaid was to keep either side from winning. Both Iran and Iraq suffered over 500,000 casualties each in the Iran-Iraq War. In 1988 the US shot down an Iranian commercial airliner that was in Iranian airspace. All 290 passengers and crew of the airliner died. The US claimed that it mistook the plane for a threatening fighter jet. 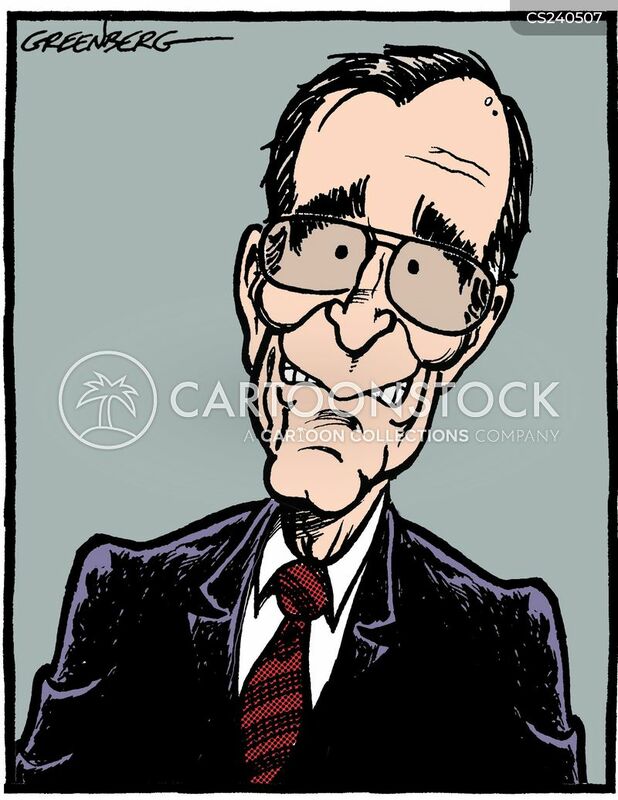 Even though the US admitted that it had shot down the airliner, President George H. W. Bush refused to apologize, saying “I’m not an apologize-for-America kind of guy”. After the Iraq invasion of Kuwait in 1990, and the US war with Iraq, the US imposed sanctions on both Iraq and Iran. While Iran had declared neutrality in the war, the US accused Iran of secretly aiding Iraq. The real reason why the US imposed sanctions on Iran was that it was concerned that a weakened Iraq would strengthen Iran as a regional power, which is exactly what it did. Then in 1996 under President Bill Clinton, what was to become known as the Iran and Libya Sanctions Act was passed by Congress. This act penalized any US or foreign entities that invested in Iran’s oil and gas industry. The supposed rationale was that investing in Iran’s oil and gas industry would provide Iran with the funds to develop weapons of mass destruction. Since money is fungible, the same logic could be used about all trade with Iran, and eventually it was. Still there is no proof, except circumstantial, that Iran has ever had a nuclear weapons program. Yet, Iran is condemned by the US as the world’s “leading state sponsor of terrorism”? Such accusations by the US against Iran are hypocritical and politically motivated hyperbole. The motive for US propaganda is to aid the cause of overthrowing, one way or another, the internationally recognized legal government of Iran. [*] The world’s leading sponsor of state terrorism is surely the US, and its partners in terrorism are the UK, Israel, and Saudi Arabia, and the other Gulf Cooperation Council countries. The US is determined to undermine the government of Iran. President Trump’s violation of the JCPOA, “Iran Deal”, has put “all options on the table” again: economic sanctions, terrorism, war and even the use of nuclear weapons. Iran is now in its 40th year of the Islamic Republic. Speaking to the terrorist group MEK in 2017, John Bolton said that President Trump’s policies should be that “Ayatollah Khomeini’s 1979 revolution will not last until its 40th birthday.” The 40th anniversary of Iran’s Islamic Revolution will take place in a few months, on February 11, 2019. Obviously, Bolton is not invited. In targeting Iraq, Bush began to eliminate the biggest (albeit exaggerated) Arab military power. He also pushed Arab governments to sit face-to-face with Israel in Madrid without securing any concessions from Israel at all. Last month the Jewish city of Afula banned Palestinian citizens from entering its main public park while vowing it wanted to “preserve its Jewish character”. A court case last week showed that a major Israeli construction firm has systematically blockedPalestinian citizens from buying houses near Jews. And the parliament is expanding a law to prevent Palestinian citizens from living on most of Israel’s land.